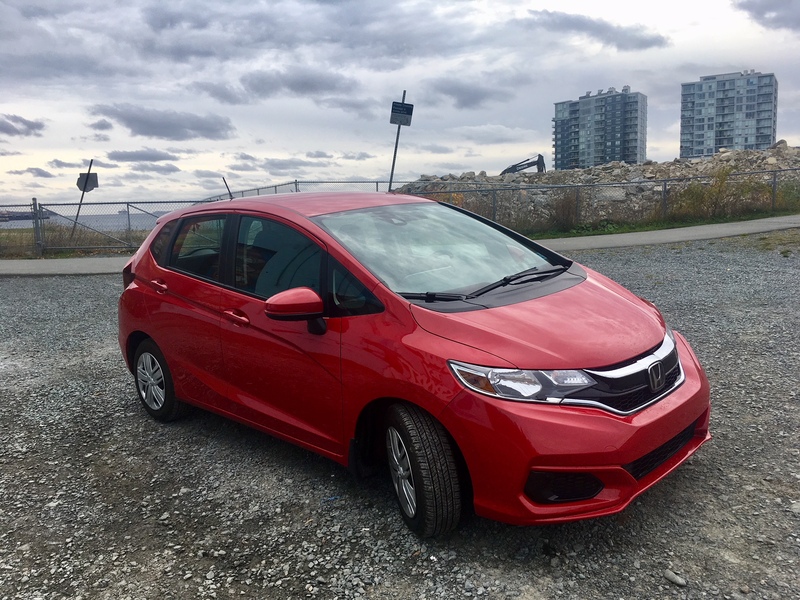 Even though I was in possession of the 2018 Honda Fit for the entire week allotted to me, I only had the opportunity to drive it for about three days. A somewhat last minute trip to Toronto was the reason why. 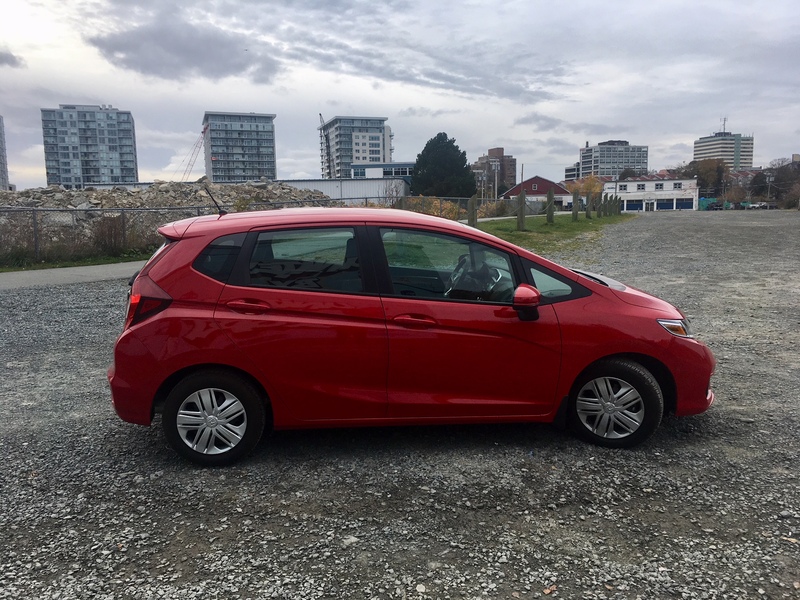 The Fit is almost unchanged since 2015 when I first drove it. 1) It isn’t uncommon for manufactures to throw current, perhaps long in the tooth models into their press fleets. The earned media can generate a bump in sales. 2) There are actually a few notable changes to the Fit for 2018. One of those changes is styling, though you’d be forgiven if you didn’t notice. 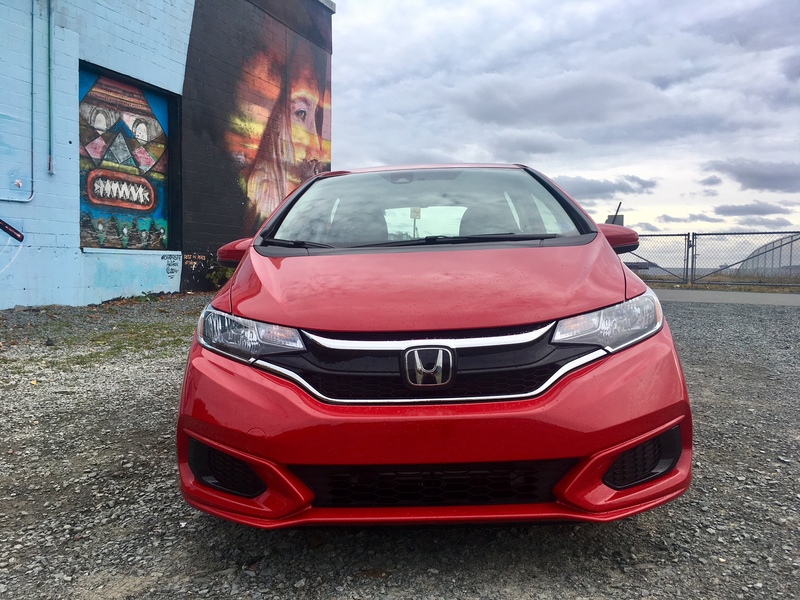 Look closely and you’ll see that the chrome strip above the grille, which is now featured on pretty much every new Honda now, is present – though it doesn’t span into the headlights like it does on other Hondas. New bumpers, a new hubcap design and the addition of new trim level are also minor changes. 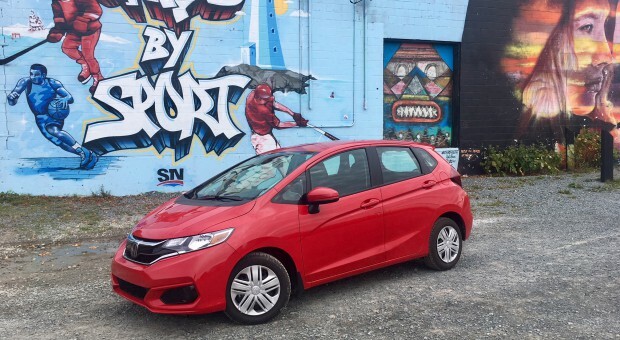 There is now a ‘sport’ model which is essentially a cosmetically enhanced version of the Fit. Don’t expect much in the form of performance enhancements on this trim. With that said, Honda did update the underpinnings on every trim level. The Fit now has a retuned suspension. It also features more sound deadening and has a new windshield to help reduce wind noise. The big news for 2018 is the availability of safety tech called Honda Sensing. My tester was not the base DX trim, but it was the LX Honda-Sensing trim which is two trims up from the base DX. 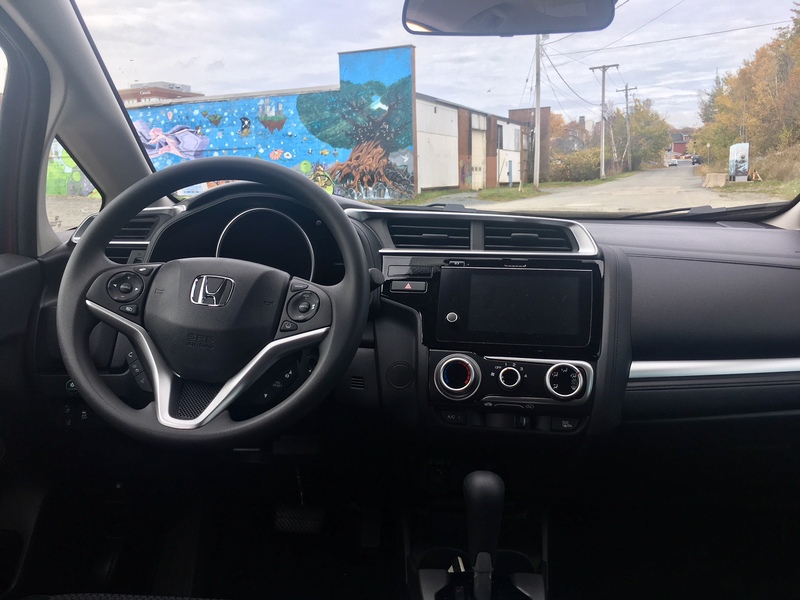 The safety tech specifically adds forward collision warning, lane departure warning and lane keep assist, and adaptive cruise control among others. It’s nice to see these sort of safety technologies trickle down into the sub-compact segment, though ideally this would be standard across all trims. Still, to have it included in a sub 20K vehicle is very much a good thing. The 1.5 litre carries over into the 2018 model year. It makes 130 horsepower and can be mated to either a five-speed manual or a continuously variable transmission (CVT). Here’s my main gripe, aside from the fact that the CVT neuters any ability to reach the higher RPM range: that suite of safety tech cannot be had with a manual transmission. If you’d like the safety gear, you must get the CVT. Why are manual transmission drivers being punished for wanting to row their own gears? Surely their safety is just as important, no? I’ve driven the Volkswagen Golf R with a manual transmission and it had adaptive cruise control, so it is possible to have both. These sensing features have very little to do with the transmission in my opinion. 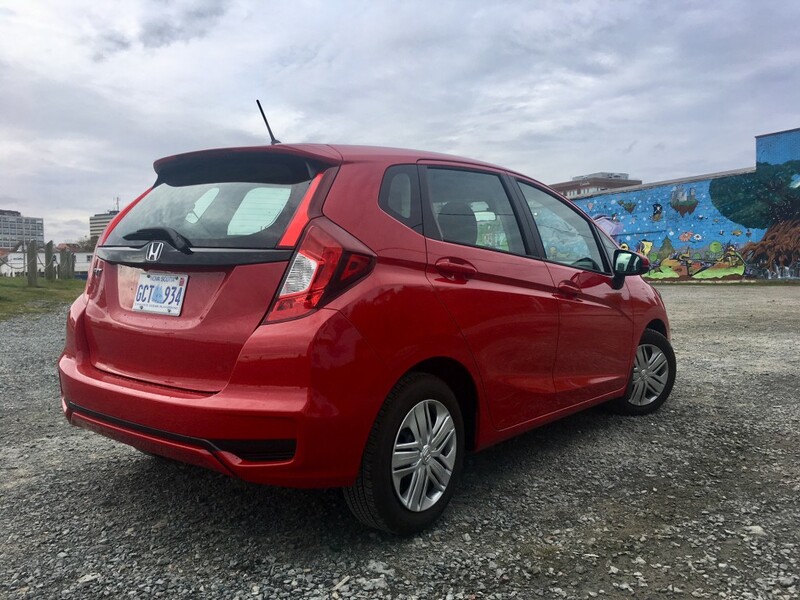 For the record, the Fit is officially rated at 7.0 L/100 kms in the city and 5.9 in the highway. In my three days of mostly city driving, I hit the 7.0 figure on the nose. The Fit is no track super star, and to be honest I didn’t really notice much difference in how it handles, even with the retuned suspension, but it still feels reasonably solid. 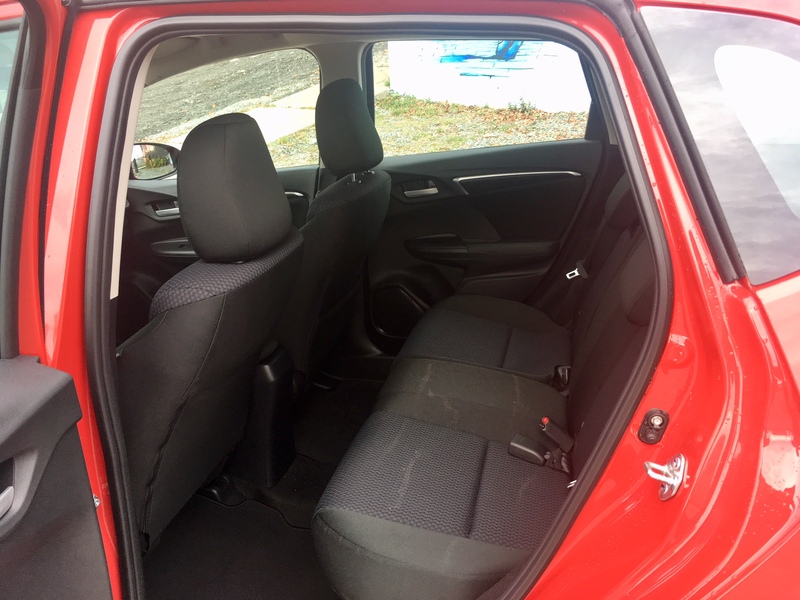 As always, the Fit’s real draw is its wonderful use of interior space. 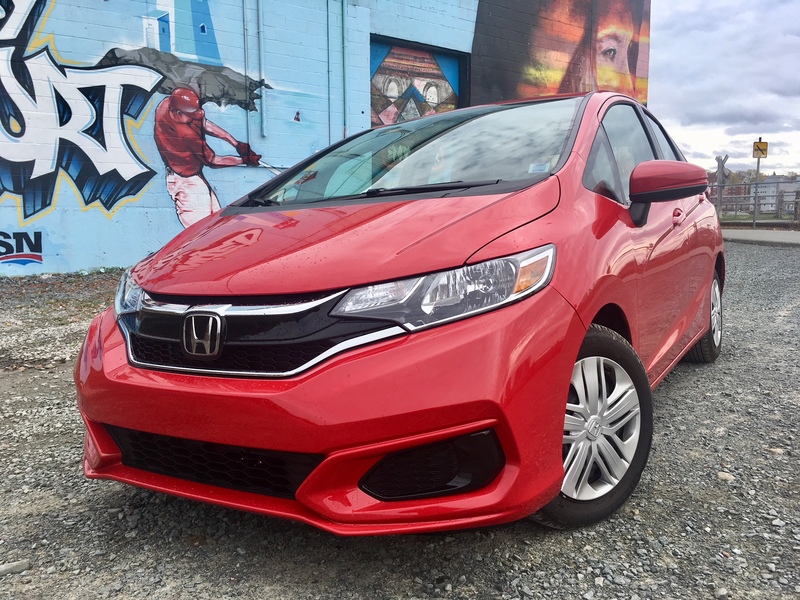 My girlfriend, who prefers larger vehicles, commented that the Fit feels bigger inside than its exterior dimensions would suggest. In fact, she mentioned that she thought she would hate the Fit because she thought it would feel small but she came away absolutely loving it. Of course, it doesn’t feel as if you’re riding in a Ford Expedition, but it is decently roomy and the magic seats essentially give it the versatility of a minivan. There’s still no other car in the segment that can blend the two so nicely in such a small package. And since there are only very minor upgrades for 2018, Honda may still be betting that that is enough to set it apart from the competition. This mid-cycle update may be enough to keep some loyal Fit buyers, but there’s credible competition coming out of the woodworks. The Ford Fiesta likely takes the nod for best performance in segment, the Nissan Versa for best passenger room and the Kia Rio for best overall value. When the time comes to completely revamp the Fit, Honda better be willing to go all out to keep its laurels.